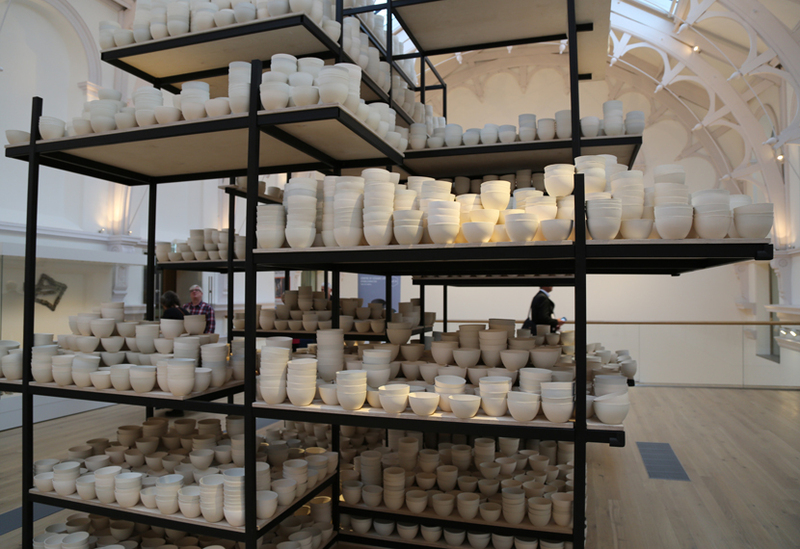 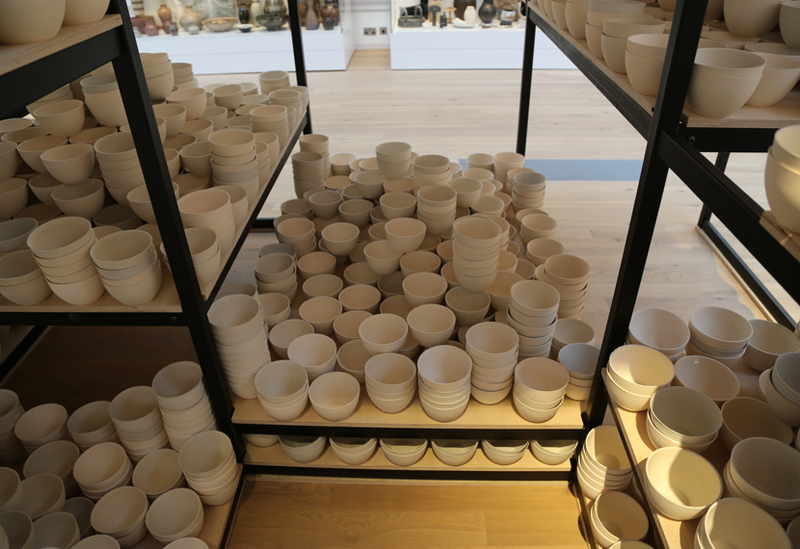 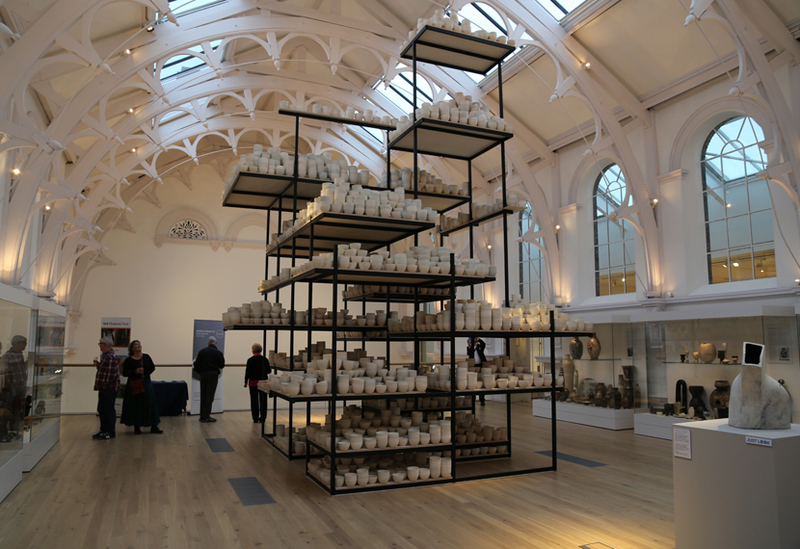 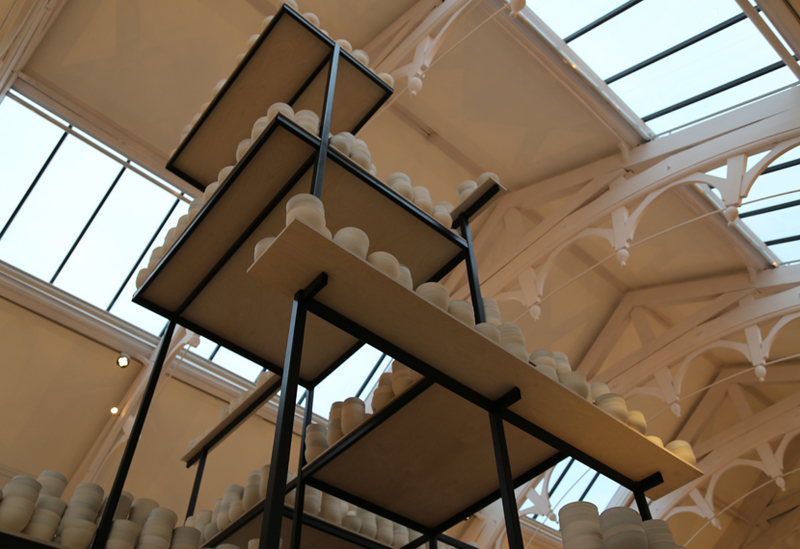 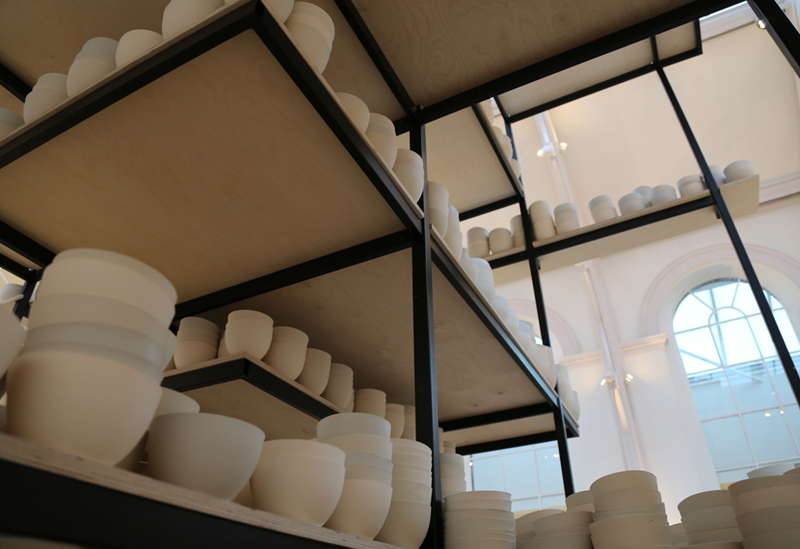 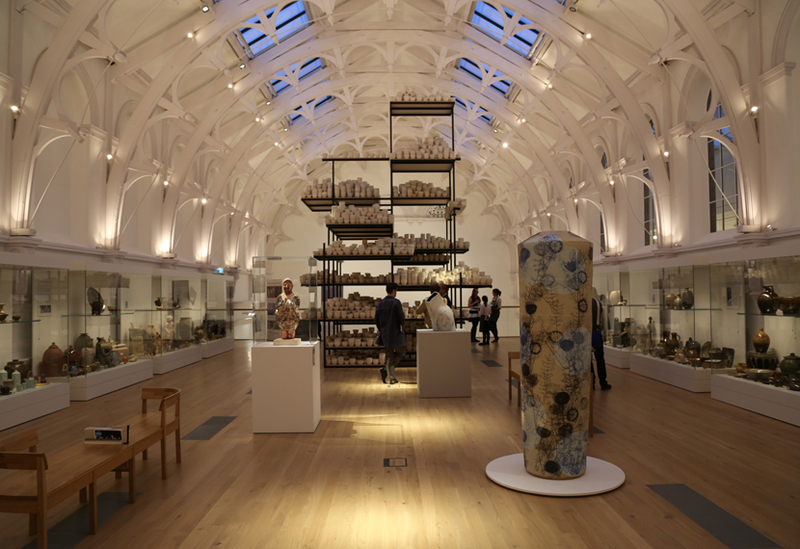 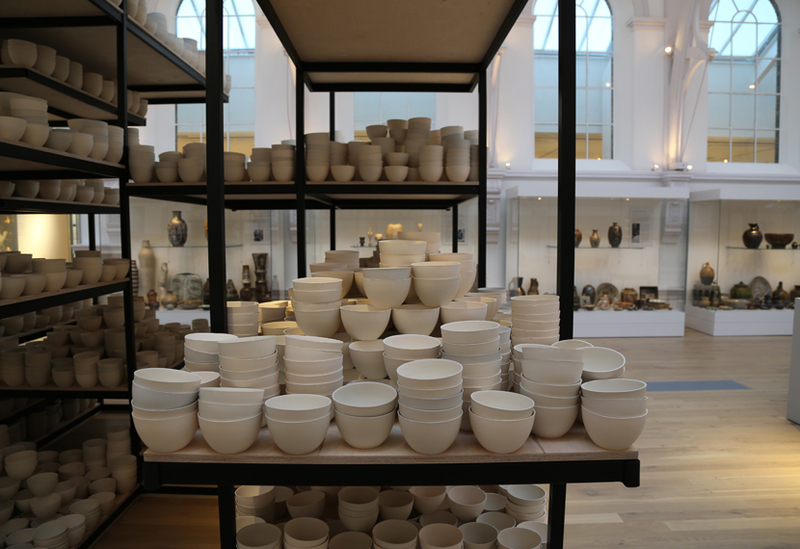 This grid-like display system was manufactured specifically for artist Clare Twomey’s installation ‘Manifest: 10,000 Hours’, a work that was specially commissioned for the opening of York’s new Centre of Ceramic Art (CoCA), housed within the newly renovated York Art Gallery. 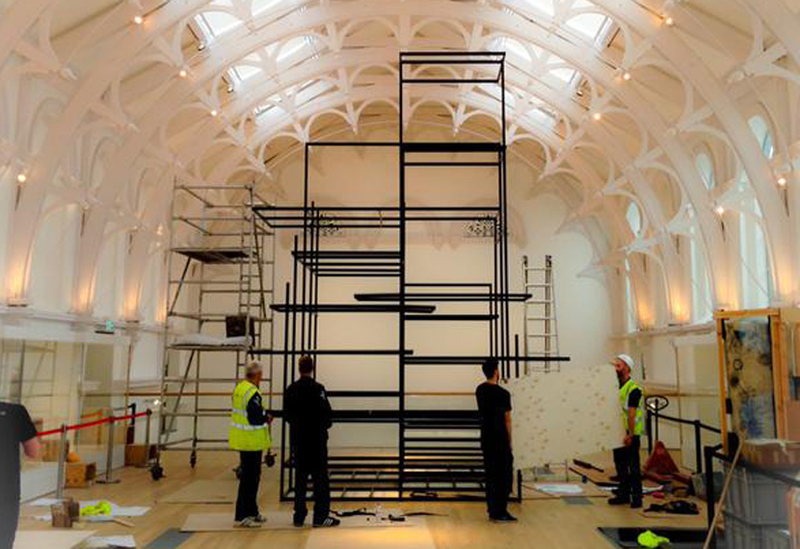 Set within a towering matt black steel frame, the display system comprises 17 individual levels, criss-crossed within the overall 6m high structure. 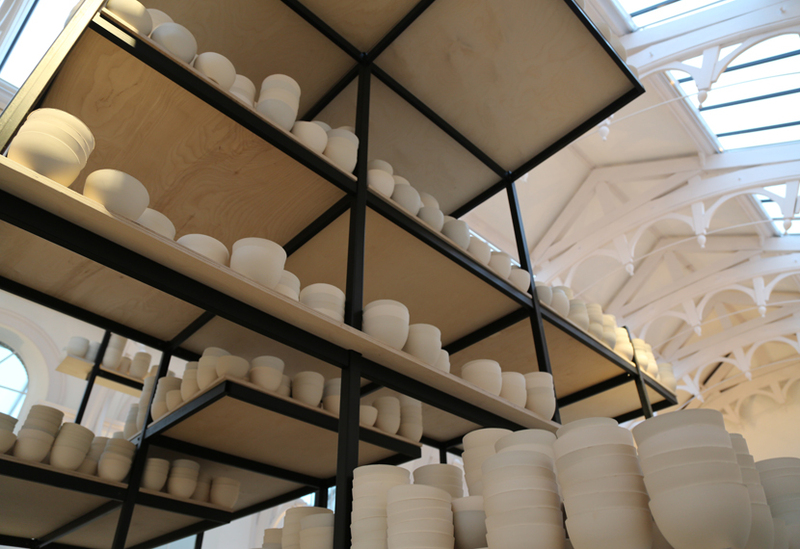 Each level consists of a differently sized raw birch ply shelf, onto which 10,000 slipcast bowls are arranged in undulating stacks. 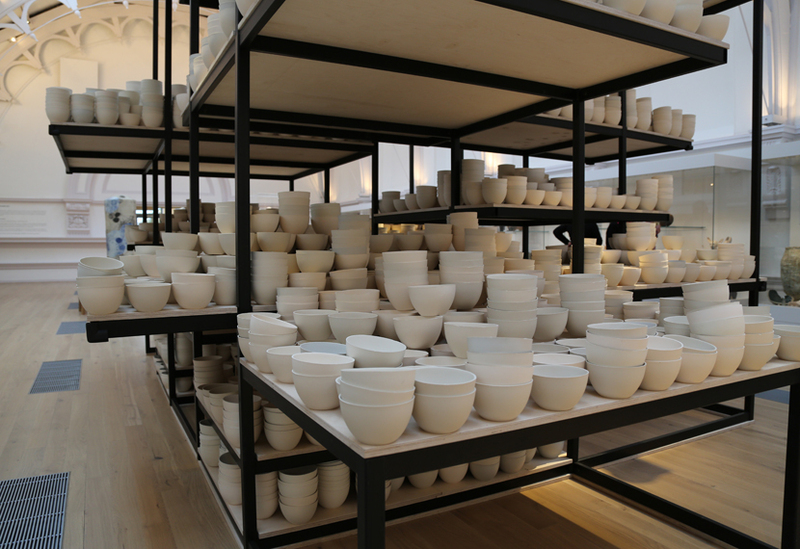 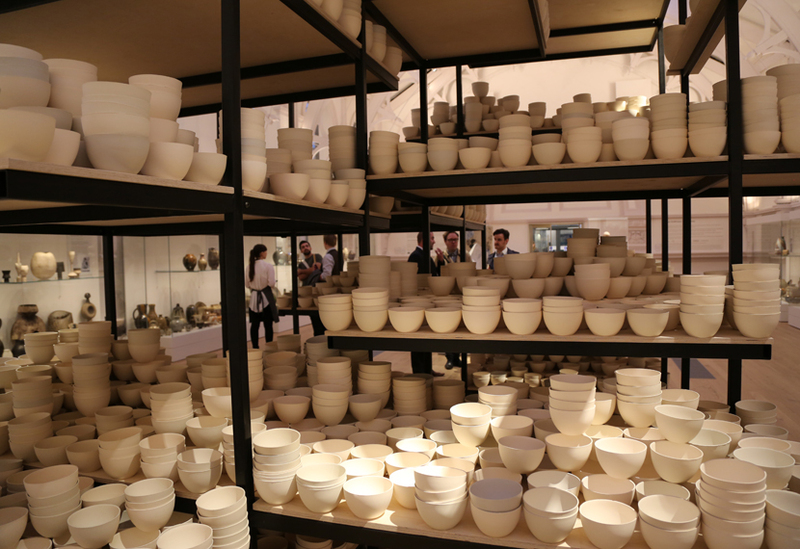 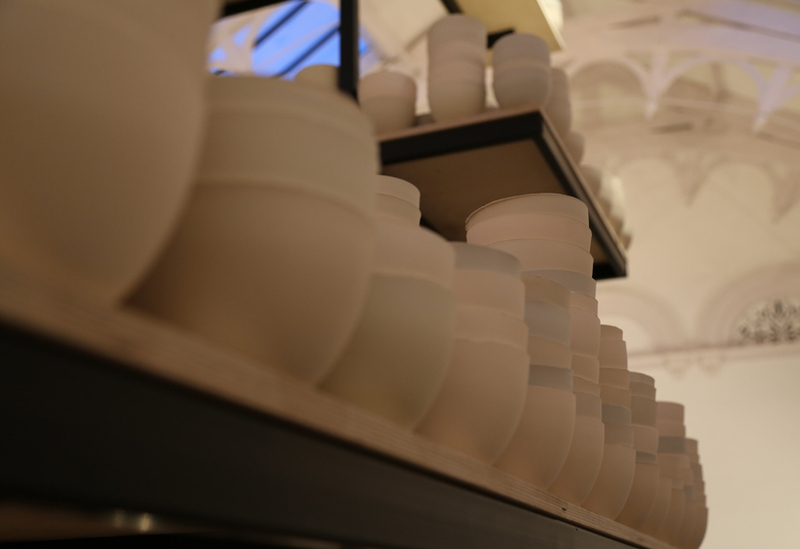 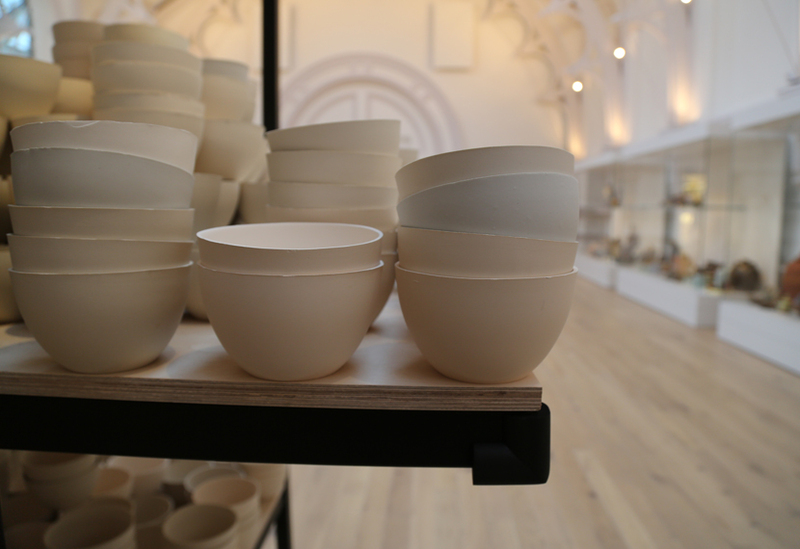 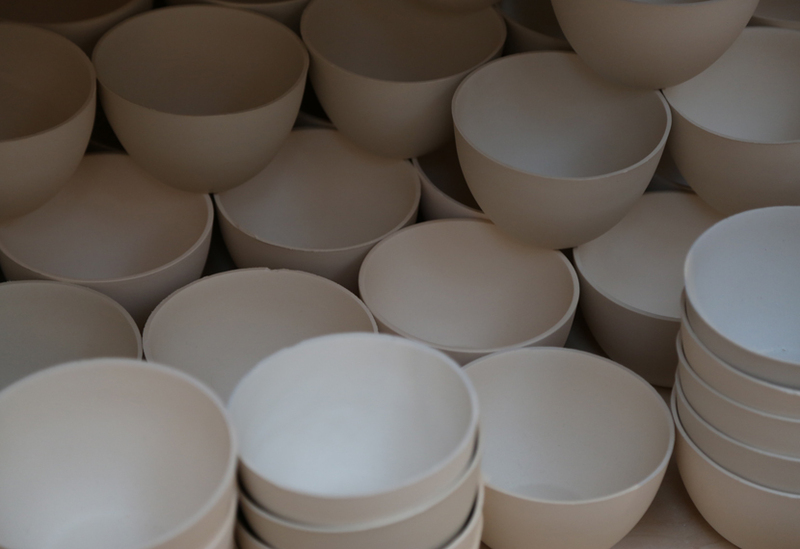 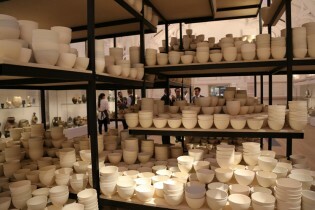 Each bowl represents one of the 10,000 hours traditionally deemed necessary to become a master craftsman. 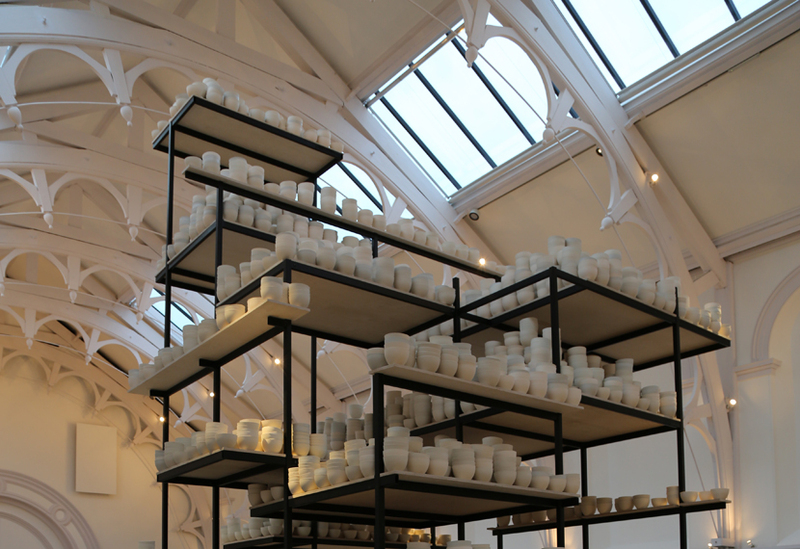 We worked from the artist’s sketch, refining the shelving design to suit the needs of the installation, as well as the structural considerations of the newly renovated building. 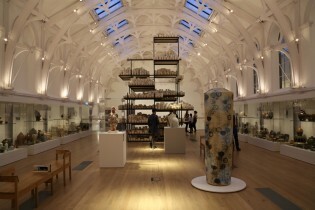 The completed installation has a weight of around 3 tonnes.